She won 3rd place in the smallest writing category. Finally managed to sit down and blog about the event that happened for the past few days. 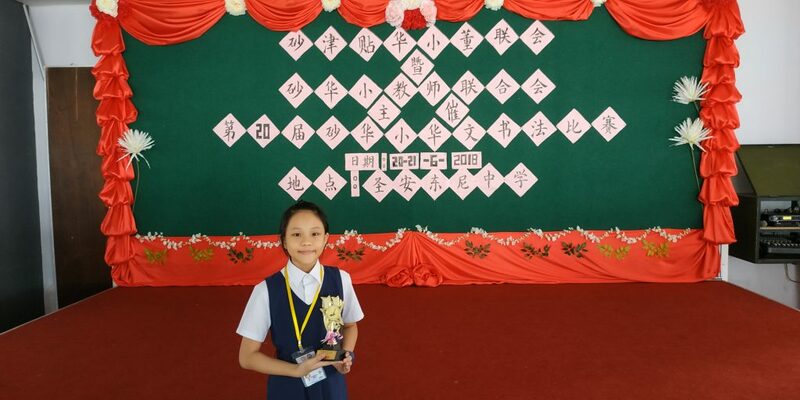 About a month ago (19th May 2018), Princess E participated in one of the yearly biggest Chinese Calligraphy competition that was held at Chung Hua No.3 Primary School in Kuching. Here she went against the best calligraphers that represent from every Chinese school from Kuching to Samarahan District that has to offer. This competition was slightly different from the regular competition she participated in the previous years as it requires her to write 144 words in 1 hour. After weeks of practice with both her school teacher and tuition teacher, we thank God that she was able to win 3rd prize. From the past few years, they would only send the top 2 winners to battle it out throughout Sarawak. This year, they’ve decided to include 3rd place winners as well. All of us were thrilled of course, as this will be a good experience for her to battle it out with the best in Sarawak. She got her to write at least 2-3 pages a day. Never the less, her school teacher continued to help prepare her for the competition which was going to be held on the 21st June 2018 in Sarikei. She got her to write at least 2-3 pages to help prepare herself for this competition. But on the last day of school, just before the school break the school announced that she would be retiring from teaching. Initially we thought it will be tough now without her guidance, but the principal assured us that she will come back to the school to help guide her during the school holidays. We were extremely touched by her dedication, and words couldn’t expressed how grateful we were towards her. With her former school teacher drilling her and correcting her every day without fail, along with her tuition teacher who guided her with the correct brush strokes as well she was set to go. We decided to grab something to eat, while waiting arrive. So we woke up about 4.45AM on the 20th morning, to pretty much get ready and head towards the meeting place at 3rd Mile. So after getting ready, I decided to check and see if there were any grab drivers available. And to my surprise there were indeed a couple of them roaming near the hotel nearby. So off we were to our meeting point. We were supposed to be there by 5.30AM and depart from there to Sarikei by 5.45AM. By the time we arrived there, we didn’t see the bus nor the van that was supposedly to send us there. So we decided to grab something to eat while waiting for the others to arrive. By 5.30 AM we then see the people started to gather at the meeting point and we saw the bus passed by us. As the organizers dropped by, stated that the bus couldn’t come in due to the traffic congested in there. The rest of the participants were asked to walk out to the bus stop instead. While the remaining 7 of us boarded the van. So off we go, as this is Princess E’s first road trip. She had to understand in the event should we stop for a break we need to ease ourselves even if it’s not much. She was pretty much excited over the whole trip that she couldn’t sleep. As for me, I tried to sleep but unfortunately the road was way too bumpy for me to fall asleep to. Many parts of the roads were still currently undergoing maintenance and renovation, which was supposedly to be the Pan Borneo Highway. So we departed from the meeting place about 6 AM and arrived at Sarikei about 11.45 AM. Overall she did well being in the van for close to 6 hours, and both of us were quite exhausted from the whole ordeal. Anyhow the first thing we did was to check into our rooms, at Garden Hotel and unpack the stuff we needed. Once that was done we headed out to Marrybrown for lunch which was quite close to where we stay. After lunch we headed to the supermarket nearby the hotel called Doremon, just to grab a few supplies before heading back to the hotel to freshen up and rest the entire afternoon. Towards the evening, there’s apparently a banquet for all the participants and parents for the opening for this year competition. So we walked over to St. Anthony Secondary School, to pretty much scout the place for tomorrow. We met with the teacher in charge for the Chinese Calligraphy, and were given dinner tickets for both nights and a lunch voucher. He pretty much ran us through the rules for the next day and what time we should be there to register. We were surprised to see so many people at the banquet hall, which I think was close to 900 people. Apparently there were 4 different competition that was concurrently being held, which are Chinese Calligraphy, Group Dancing, Public Speaking & Singing. No wonder her teacher told us last year that this would be the major competition throughout Sarawak. Her teacher than called her up, and gave her a few last minute advices before her competition the next day. She also made sure she gets enough rest since it was a long journey. So we’ve decided to stayed there for another hour and head back right after that to get some early rest. Back in the hotel we went and gave mummy a call to update her on the latest info and plan for tomorrow. It was pouring heavily that morning. Mummy gave us a morning call at 6 AM for all of us to get ready. Initially we wanted to grab breakfast before heading out to the school, but then we were told we need to register ourselves by 7 AM. So after getting ourselves ready, we thought we could still grab a quick bite at the nearby coffee shop. But lo and behold as we stepped out from the hotel, it was pouring heavily that morning. So instead of getting breakfast, we’ve decided to head to the school instead. Since we couldn’t walk, I tried checking grab to see if there’s any driver nearby. Unfortunately for us there wasn’t any available, so I decided to place a booking anyway to see how it goes. In less than 2 minutes, a driver was assigned to us. The driver Mr. Lee Ching Seng was quite a distant from us and he messaged us that he will be there shortly. So after he arrived, we went straight to the school for Princess E to be registered in the competition. By the time we got there, it was still early as the organizers just arrived not long after that. So after the registration they got us to stay back a while for the opening ceremony. So after the opening ceremony, I got her to stay back as it was still raining while I went out to grab breakfast for the both of us. Quite surprisingly most of the place have yet open or just opened. So it took them a while to get the food ready. After 30 minutes I finally managed to pack breakfast while rushing back to her, hoping that she’ll still have time to have breakfast. Due to the delay earlier this morning, she had plenty of time to eat and calm down at the same time. Despite still feeling nervous, I tried to calm her down and showed her the messaged from the choir wishing her all the best. Not long after we cleaned up breakfast, the first group just finished their competition and they asked her to get ready. So we went over to the classroom and remembered the advice from her teacher to make sure the table is stable and the surface is smooth. So while I helped prepare her table, Princess E went to prepare her brush. After everything was set, every participants were given the words that needs to be written. That was when they kicked everyone else out from the classroom and asked us to wait for them at the school’s canteen. So I reminded her to pray before she starts writing, just remain calm and she’ll be fine. So that’s when I took this picture before leaving her, and we shall see how it goes after that. I just realized that I didn’t had a cup of coffee, so I found out St. Anthony canteen is like a mini coffee shop. If only they opened earlier so I didn’t had to leave her, so I bought a cup of coffee while waiting for her to finish. The rain had finally stopped by then, and she had about 1 hour to finish writing everything. No doubt the waiting period was long, I went and scout to see the trophies awaiting there. I only calculated about 15 that time for both categories, which concerns me as there were 18 of them. Was talking to mummy wondering why they don’t make all 18 of them, since it’s just another 3 more. So at least all the participants will go home with something instead of empty handed. Never the less, once the waiting period was over I saw her stood up from downstairs so that was when I went up to check in on her. Tears were rolling down her face when she was packing her tools. In my heart, I was wondering what went wrong. Once we left the classroom, she told me that she wrote 2 columns wrongly placed. Her reasoning was because initially she wrote on one piece of paper, but she felt unsatisfied with it so she decided to write a new one. Then when the teacher inside announced that there was only 10 minutes left, she panicked hence wrote the wrong words. Never the less, she was still able to write finish everything but was still upset over her carelessness. She felt disappointed because she feel as if she let everyone down, and was worried that we’ve wasted a lot of money preparing her for this. I told her not to worry about it, and that we came here for the experience and not the prize. The fact that she was able to represent Kuching in just 1.5 years of learning calligraphy was already an achievement, and we will always be proud of her even if she wins or not. So we’ll just leave it to God now, since that you’ve already done your best. If we get a prize praise God, if not we still praise God for giving her the opportunity to experience this roller coaster ride. Despite her flaws, she still managed to bag consolation prize. Literally: There are skies above the sky, there will mountains taller than other mountains. Meaning: We may be the best where we are, but there will others who will be better than you in some where else. So we sat right at the back of the announcing area as we didn’t want to disrupt others later on. 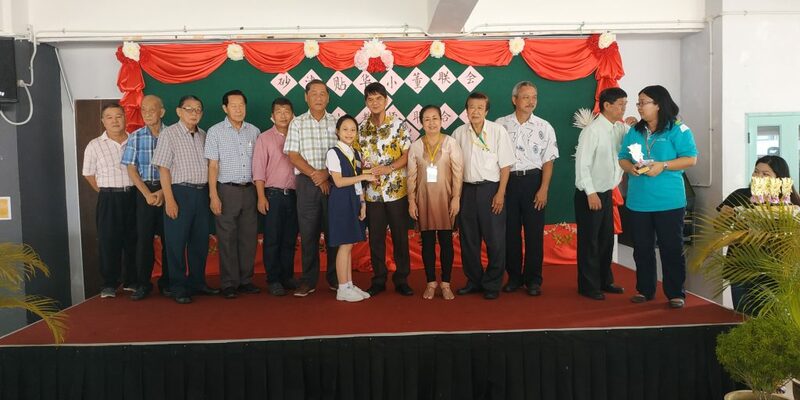 They first gave out the prizes for the medium words category, and the whole Kuching representative managed to get consolation. And she was shocked, and told me that if they can only get consolation then she will probably get nothing because they’re the best in Kuching. So I reminded her what her teacher used to tell her that “天外有天，一山还比一山高“. You may be the best in your school, but that doesn’t necessary mean you’re the best in the whole Kuching. And I reminded her that she’s now going against the best throughout the whole Sarawak, so don’t feel bad about not getting anything. 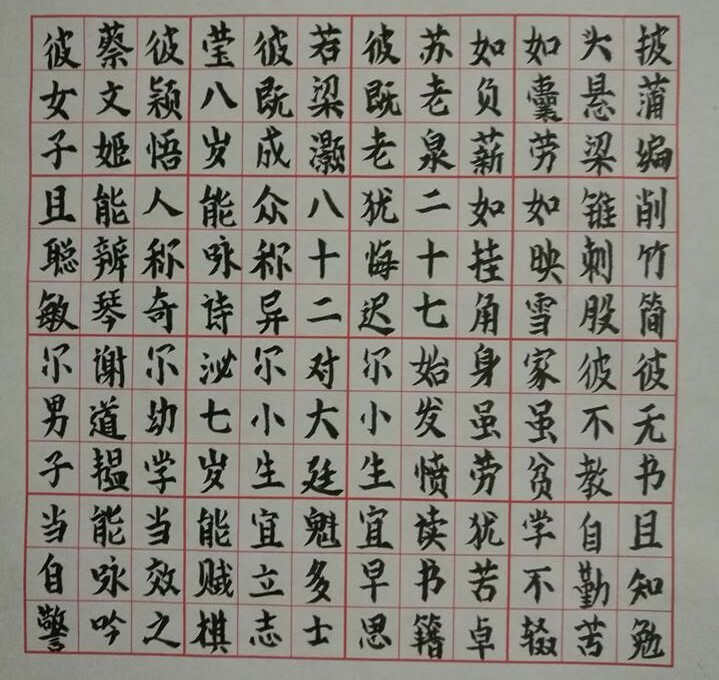 So she felt much better after that, because she knew the level where she stood in world of Chinese Calligraphy. When they began announcing the small word category, 1st consolation prized went to her rival from Kuching Princess E was in shocked. This was because she knew that her words were really neat and nice but can only get consolation. Next out of the blue they announced her name, and both of us were shocked but happy at the same time. And she literally lit up, because despite her flaws she still managed to bag consolation prize. I informed mummy, and she was glad that she was able to at least win the consolation. After I sent the group photo to mummy, she said all 18 participants got prizes. So the both of us were relieved, at least everyone will not go home empty handed. The future of Chinese Calligraphy lies in the future of these hands. Congratulations to all who participated! So once that was over, we were suppose to join them for lunch. But just to put an icing on the cake, that I told mummy in the event she didn’t win anything I’ll still bring her out to celebrate. So we went back to the hotel to freshen up and changed, after that we went to Sushi King to celebrate. She was so thrilled when I opened the door to Sushi King, because I told her we were going to KFC. 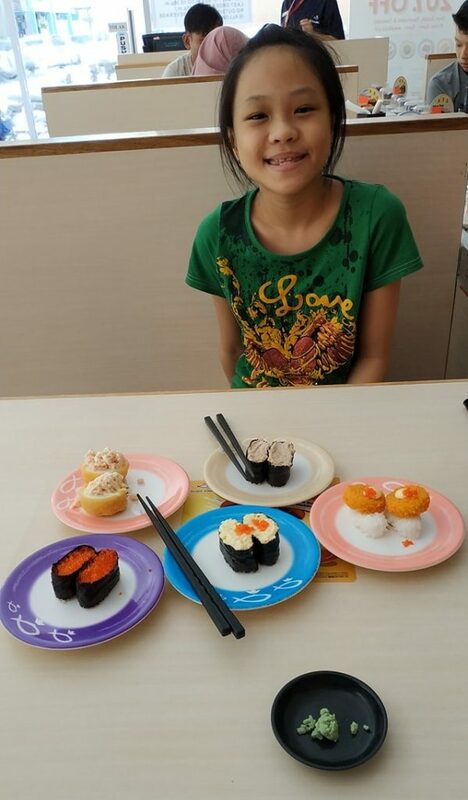 She loves sushi, and we’ve only been to Sakae Sushi once. So I think it was appropriate for the timely celebration and encouragement. I told her that God is still good to you, as He knew you put in a lot of hours into the whole thing. And all glory goes to Him, because despite still wrote wrongly (which I found later her marks got deducted) she still got something. As I told her that, I only counted 15 trophies for both categories but yet they came up with 18 trophies in the end. And that this is only the beginning, where the ones that got first 3 places were Primary 6 calligraphers. So you still have 2 more years to work your way to the top. And she understood that it’s not easy, and that different judges may have different opinions. Considering that the whole Kuching squad only managed to bag consolation prize, but something is always better than nothing. So after we finished eating, we headed back again to the hotel to get some rest before attending the closing ceremony in the evening. Princess E enjoying it from where we were. So we walked over again to St. Anthony’s secondary school for the closing ceremony but before that the dance competition was still going on. Thought it was a brilliant idea to actually have performances going on while having dinner. Initially we actually sat at the wrong table, which was somewhere in the middle. But only to realized that our table was actually all the way to the back. Never the less, it was still good though considering those who were also sitting there was from Kuching and we instantly clicked without any issues. While talking they were surprised to hear that Princess E was from SJK (C) Chung Hua No.1, because most of the time the one representing Kuching were mostly from SJK (C) Tapah and SJK (C) Chung Hua 4 1/2. Again the Uncle reminded Princess E that 天外有天，一山还比一山高, and asked her to strive harder next time. Whatever we do we need to put our hearts into it, and continue working hard until we reach the top. We stayed a little bit longer this time before decided to head back to the hotel to pack. Laksa with pork taste interesting. So we were supposed to meet up at the meeting point by 7.45 AM as that would be the time we will depart from Sarikei back to Kuching. So we went to the nearest coffee shop, where the only current stall opened was laksa. 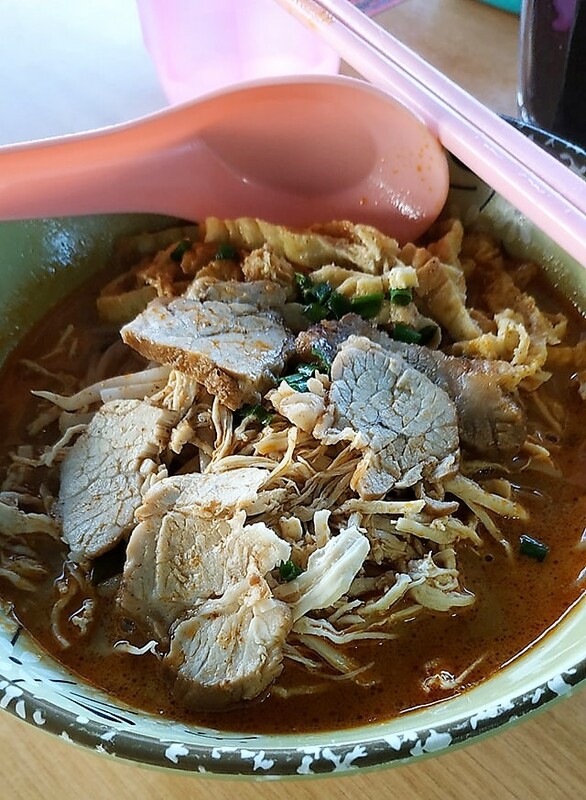 No doubt it was interesting, as most of the time laksa just comes with chicken shred, prawns and egg. This one we replace the prawns with pork, which taste interesting. Probably wasn’t really a good idea especially for the long journey ahead. That was only when our drinks came, I asked the owner if they had toast and he said yes. I ordered that for Princess E since she can’t really take much in the morning. So after breakfast, our van driver was there waiting for us already and here’s to another 6 hours drive back to Kuching. This time Princess E was still exhausted from the last 3 days, she was able to sleep about an hour. One of the stops we made was at Pusat Rehat Mid Layar, which toilet I would give 6 stars if possible. Could stop laughing with all the puns and jokes they posted all over the walls inside the toilet, I guess for those of you who went there would probably know what I mean. Never the less, after that it was a long drive all the way to Lachau where we had lunch. Then we proceed back to Kuching where we arrived close to 2 PM. After saying our good byes with team Kuching we went and got a grab driver to send us back. Our driver told us that the place we’re heading most likely will be blocked due to the Perarakan Gawai Dayak procession. True enough by the time we reached close to our area, traffic started to crawl. So I got him to drop us at Plaza Merdeka and we’ll just walk home which will be faster instead. We thank God for His faithfulness that He has brought Princess E so far into this journey of calligraphy. To her teacher who was so dedicated to make sure she’ll be able to make it by making her practice writing every day. We would like to thank her tuition teacher for also guiding her and not cutting her slack when she tried to. To Master Lau who’s always been a strong critic of her stroke, but he knows what’s best and his continuous support really encouraged her to this day. Not forgetting her Aunty Emily who tirelessly went searching for the brush she needed where we couldn’t get it here in Kuching. Never the less, this whole trip was indeed a fruitful one as Princess E learned a lot of things. After all been said and done, she’s more determine now to work harder to improve herself. Her teacher wanted her to send some writings for her the next day to prepare for another competition on the 1st of July. But she decided to write it on the same day, as she needs to start getting used to it because she’s not been writing bigger words for the last 2 months. So let’ see how things goes from here.